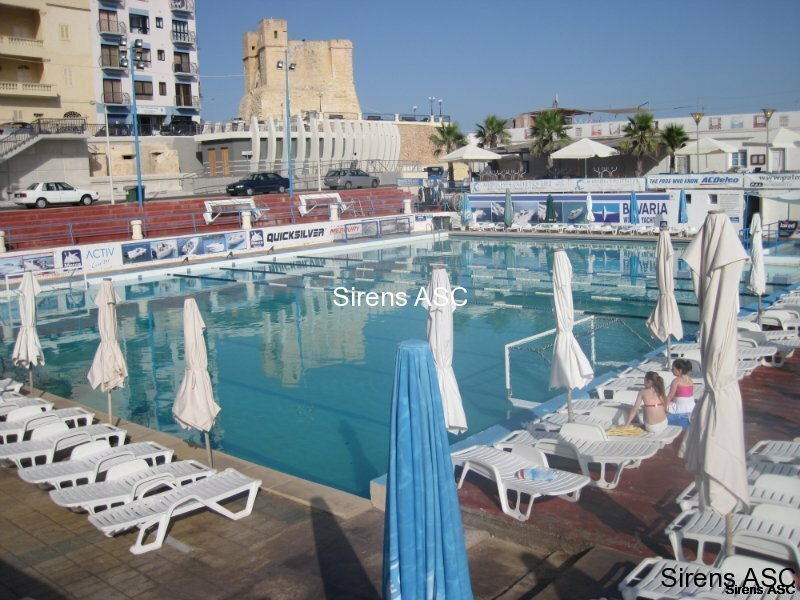 Sirens ASC is an aquatic sports club with over 500 fully paid up members, one of the largest of its kind in Malta. The club is run by an elected committee which devolves some of its duties and tasks to various sub-committees. All committee and sub-committee members are volunteers and receive no payment for their work. The promotion of waterpolo, swimming and other aquatic sports. The observance of the rules of the clubs and those organizations to which the club is affiliated. The promotion of a sporting spirit, particularly amongst its young athletes. For many years Sirens ASC has been in the forefront of Maltese aquatic sports and has faced many challenges that would have defeated a less strong minded group of people. In 1998 the club premises were totally destroyed by a vicious storm but they were not only rebuilt within a few months to higher standard but the club went on to develop what is now Malta’s number one private water sports facility. Financially the club is dependent on the rentals of its facilities, sponsors, donors and its members. Over the past fifty years the club has grown from a humble wooden shack on a barren rock by the sea to a fully fledged facility used by thousands of patrons every summer. All this has been made possible by the hard work of a group of people who every year dedicates most of their free time to the service of the club, its members and the local community.